ProfiDrum is the result of constant development and production of innovative products in the field of water purification. ProfiDrum systems are designed for water companies, fish farms and koi pond hobbyists that have high requirements for water quality. 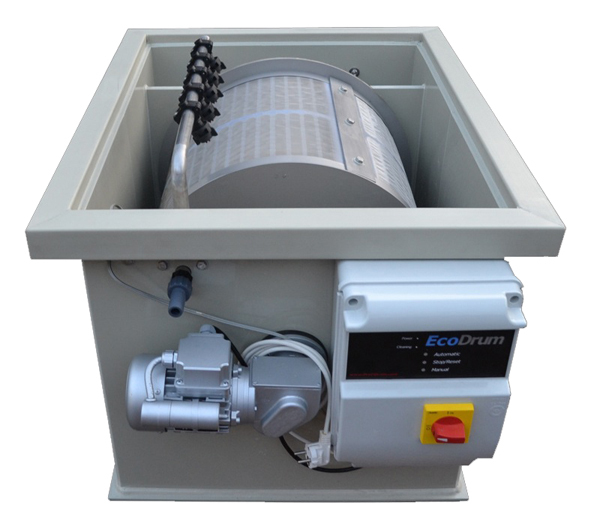 The concept of our filters ensures superb quality and sublime disposal of solids and dirt particles by means of techniques that originate from water treatment. 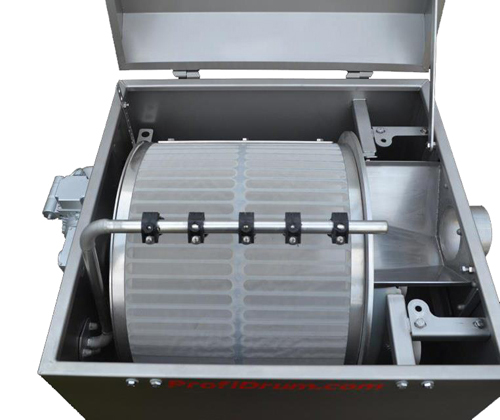 You will find all relevant information you will about ProfiDrum Drum Filetrs. If you have further questions please do not hesitate to ask us using the contact form. The ProfiDrum Eco series is developed in durable PolyPropylene (PP), except for the critical components of a well constructed drumfilter. The ProfiDrum Eco is positioned for the professional hobbyist who does not opt for a stainless steel system but will not cut back on the durability and reliability of his or her investment. Therefore, the critical components are just like the ProfiDrum Stainless made of stainless steel 316. The ProfiDrum Eco comes without inlets or outlets so you have the choice of multiple at different locations. In consultation, the inlets and outlets can be created by ProfiDrum if you prefer not to handle the material yourself (although the material is easy to deal with). 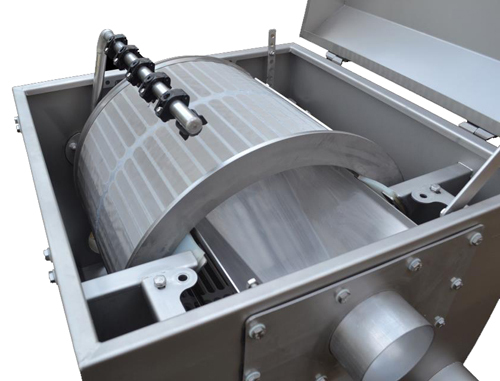 The ProfiDrum Stainless series is fully developed and constructed in stainless steel 316, for both the static and moving parts. Inlets and outlets are sufficiently dimensioned to top your desired flow. The filters are covered with industrial filter panels with a woven stainless steel mesh of 70 microns. On request, different mesh sizes are certainly possible as well as nylon mesh, if you like. 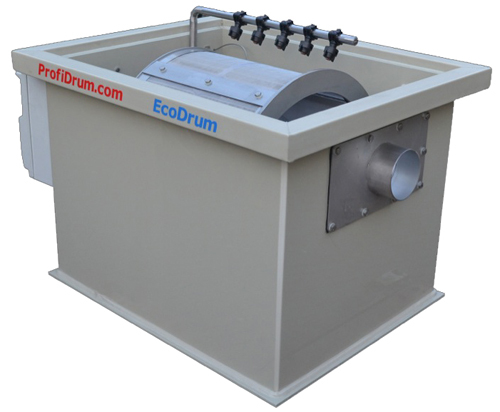 The ProfiDrum Eco series comes with an electronic control unit which can be carried out in 110/220, 12 of 24 volts.